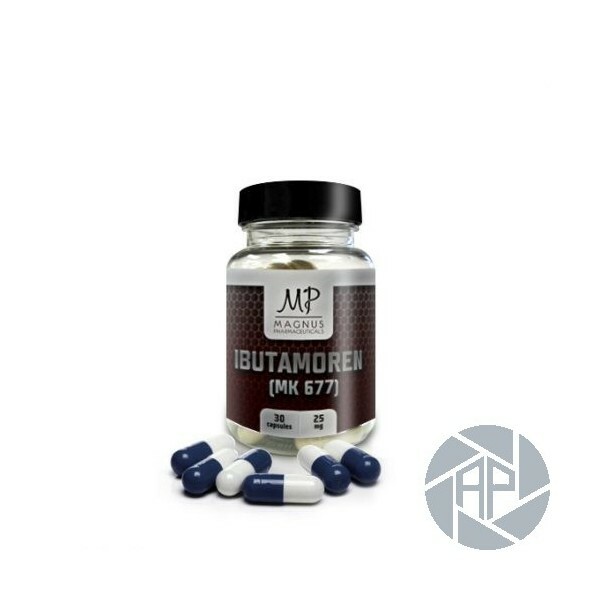 Ibutamoren, more commonly known as “MK-677”, is the most powerful and potent orally administered growth hormone secretagogue, when it comes to selective androgen receptor modulators, also known as “SARMs”. Simply put, a secretagogue is a substance that chemically signals the pituitary gland to increase secretion of growth hormone Ibutamoren MK 677 could be compared to peptides like GHRP-6 or Ipamorelin, only it doesn’t require any injections, nor does it have similar side effects. Originally developed by Reverse Pharmacology, Ibutamoren MK 677 aimed to combat conditions like muscle wasting, obesity, osteoporosis, and, oddly enough, the treatment of elderly hip fracture patients. 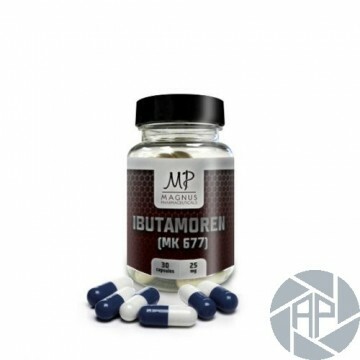 Ibutamoren MK 677 Magnus Pharmaceuticals is an orally administrated growth hormone secretagogue originally developed by Reverse Pharmacology. A secretagogue is the term for a substance that chemically signals for the pituitary gland to secrete growth hormone. In other words, Nutrobal could be compared to peptides like GHRP-6 or Ipamorelin, only it doesn’t require any injections nor does it have any side effects like GHRP-6. This GHS (Growth Hormone Secretagogue) was developed in an aim to combat such conditions as muscle wasting, obesity and osteoporosis. It was also targeted towards treatment of elderly hip fracture patients, so there are a myriad of studies done on safety. The most common doses of Ibutamoren MK 677 range between 5-25mgs per day. In some cases, we’ve seen doses upwards of 50mgs per day, but these are few and far between, and didn’t result in exponential benefits above the recommended top-end dosage of 20-25mgs Ibutamoren MK 677 per day. In the bodybuilding and athletic worlds, Ibutamoren MK 677 is used as a side-effect free alternative to steroids. Some of the usual side effects that go with elevated GH levels such as numb hands, some lethargy, as well as slight increased appetite have been reported with the use of Ibutamoren MK 677. Interestingly, during prolonged administration both IGF-1 and GH were increased with no increase in cortisol.